I buy digital books whenever I have the choice. The obvious advantages are that I can carry dozens or even hundreds of books with me in digital form and can easily search them to find exactly what I'm looking for. I certainly couldn't carry more than a few physical books with me and many that I might have poor or even non-existent indexes. 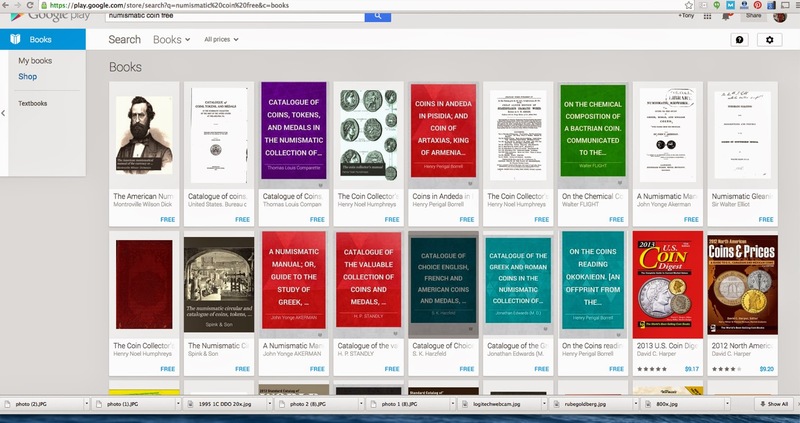 Unfortunately, it's not easy to find digital versions of numismatic books. There are quite a few at Amazon and some are even free if you subscribe to Amazon Prime, but there is definitely a reluctance on the part of authors to publish these digitally. Here's one numismatic author's response after being told by several people that he was being foolishly stubborn ignoring digital books. I have written 46 books now, none have ever been on ebooks, none will ever be, but yet you and others want to hijack the thread to speak about ebooks. In spite of that, you can find other authors who have seen the advantages. You can also find many out of copyright works that have been scanned into Google Books. Finding digital numismatic books at Amazon: Search for "kindle coins numismatic"
Google Play: Search for "numismatic coin". Or search for just the free books.